Redbridge, a London borough council has said that because of hundreds of private landlord’s quitting the benefits sector, they now have 223 of their households having to stay in bed and breakfast establishments. This number of families is now a “key priority” for the council and will increase as hundreds of landlords asked for their properties back. Cllr Michelle Dunn, Cabinet member for housing said: “I am very concerned about the number of families in B&B accommodation and it is a key priority for me. The problem has come about after a high number of private sector landlords have taken back several hundred of their properties, which we have used successfully for many years. The figure of 223 households in B&B accommodation was taken from the number of nightly B&B lets at the end of June. 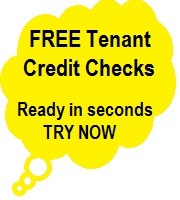 Tenant claiming dissrepair - then you require the council to undertake a HHSRS inspection See Council Inspections.